Callboy Vincent spends Christmas alone. In the evening he sits in a pub and treats a beer, then goes home and goes into the hot tub. But then burglar bursts into the apartment, which at Christmas suspects no one at home. Thomas and Kai are neo-Nazis and live in a shared flat. One day a black woman leaves her and Thomas' 6-year-old daughter Lara with them. Living with the "black girl" challenges the beliefs of the fresh father. 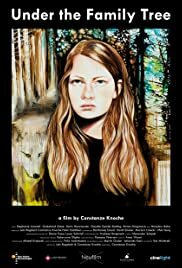 Sixteen-year-old Isabell was reluctant to join a self-help camp, but she changed her mind as she is drawn to the charming therapist, Einar, who uses a "Penetrating Family Constellation" treatment. One participant disappears from the camp, quickly turning Isabell's passion toward Einar into suspicion.